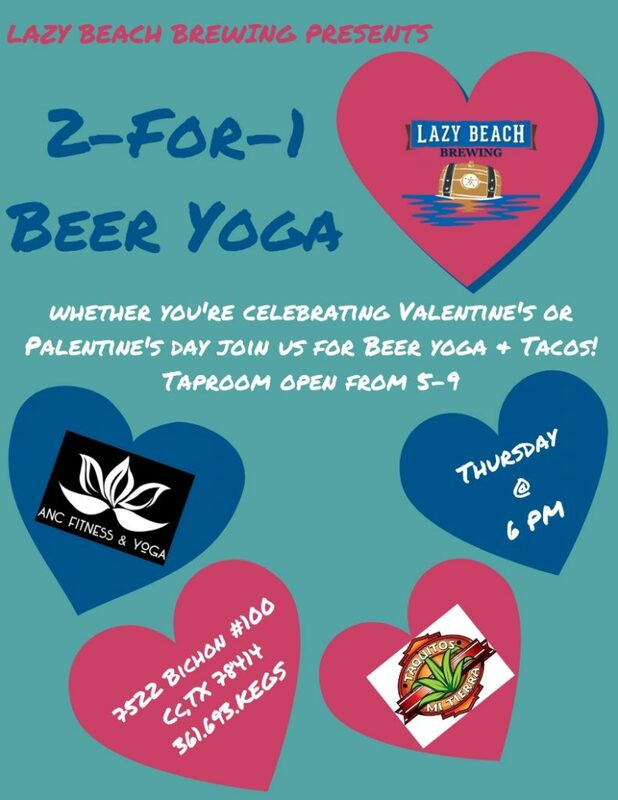 This Thursday……It doesn’t matter if you’re celebrating Valentine’s or Palentine’s Day, grab your boo or your bestie and join us for a special 2-for-1 Beer Yoga class!!! As always, 25% off Growler fills on Thursday nights. Taproom will be open from 5-9. Beer Yoga starts @ 6.